• Imprint your unique business information, logo, and customized artwork on this magnetic thermometer. A little larger than a regular business card with a very easy to read convenient thermometer at the bottom. • Ideal for reaching potential and current customers to let them in the know on your company's latest and greatest and specials/offers. • With a size of 2.5" x 3.5", these magnets are manufactured using a four color printing process, complete with a professionally glazed laminated finish. 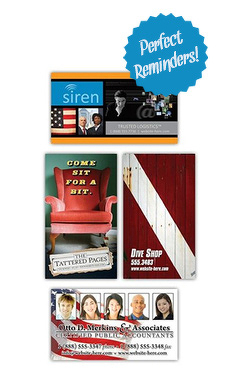 If you prefer a standard business card magnet try these.